New for 2018 is the luxurious yurt tent in our glamping village. 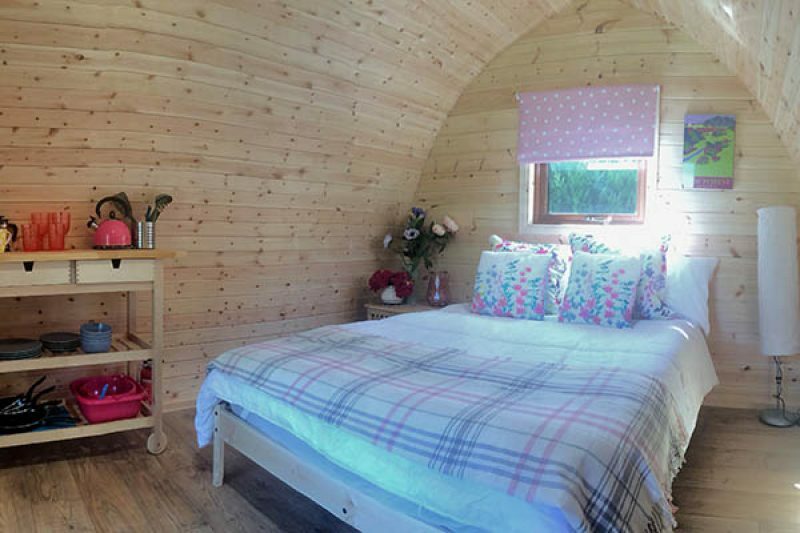 You can also choose from two types of wooden cabins here – lodges and pods. 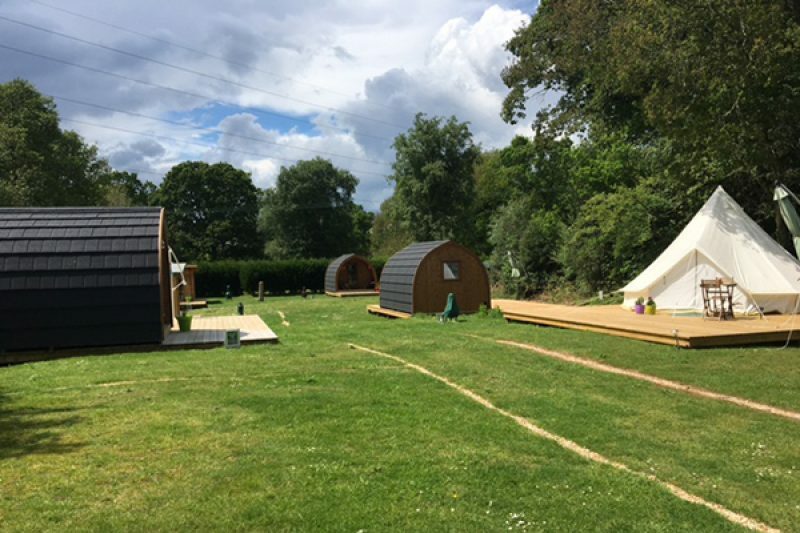 These are fully furnished with beds, heating, power and cooking equipment – except for one unfurnished pod which is suitable for dogs. If you like the romance of being under canvas without the hassle, the brand new yurt is fully kitted out. Alternatively, our two large, unfurnished bell tents are in a beautiful, peaceful camping field, Emma’s Glade.